Living comfortably in Paris with his French lover, Claire, Paul believes he has left his past behind. But when the phone rings in the middle of the night, and a voice he hasn't heard in years tells him his mother is dying and begs him to come home, the nightmares begin. Reluctantly Paul returns for the funeral to the small town and the isolated lodge in northern Minnesota where he grew up. During the following days he discovers things that contradict his understanding of his past and he sets out to find the truth. His quest draws him back among the dead, and he hears the voices of his parents talking of dreams, desires, and loss. 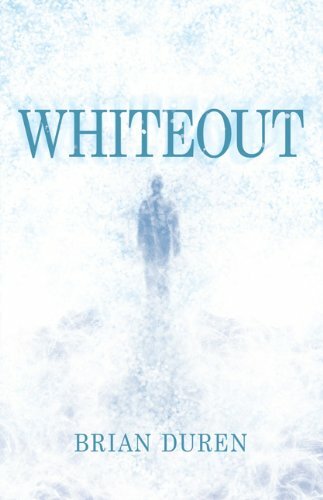 Inexorably their story leads him to ask the questions-the very question his family has always wanted to prevent him from asking: What really did happen in that whiteout thirty-five years ago? Brian Duren has a doctorate in French Literature from the University of Paris and a Ph.D. in French and a B.A. in English from the University of Minnesota. He has taught at the University of Texas, Tulsa, Iowa, and Minnesota, and at Gustavus Adolphus and Augsbug College. He has three sons and lives in St. Paul, Minnesota.